Properties in Rawene average 4.7 out of 5 stars. 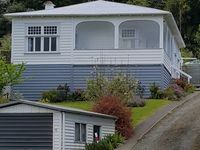 Property 6: This is the one, pristine kiwi bach by the water! Property 14: Secluded house with breathtaking panoramic views.